Is the scorching heat taking a toll on your hair? Does your hair feel fried already? And are you one of those who likes to experiment with your looks and don’t mind chopping off your mane to look super gorgeous? 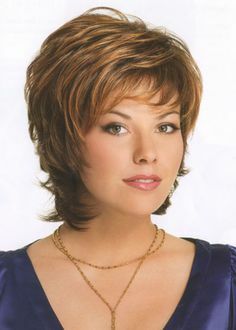 Just read on because Zuri brings some trendy short layered haircut ideas for you to wear this summer. Add some spice to your look by going for a short layered haircut. It instantly adds shape, volume and body to your hair. It also works brilliantly for women with thick, unmanageable hair and makes it look light and bouncy. And the best part is that it flatters most face shapes. So whether you have a round or an oval or even a heart shaped face, there is a layered cut waiting for you to be discovered. Ready to go all the way and don’t mind cutting your hair too short, then go for a cool short pixie. Add layers to it to give texture to your hair. This ultra chic hairstyle is low on maintenance and works for all age groups. If your style is more casual and laid back, then a shaggy layered cut is the look for you. 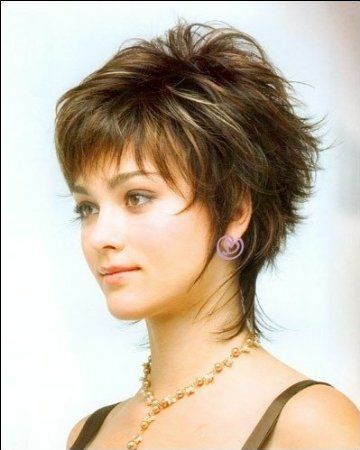 A shaggy haircut is very rock and roll with choppy ends and loads of layers around the crown. It looks best on a round or heart shaped face. Go for a short razor cut layered haircut. Although it flatters most face shapes but looks perfect on women with a long face. Teaming it up with asymmetrical bangs to gives it that extra zing. The asymmetrical bangs confuse the eye and gives your long face an illusion of being shorter. If you have an oval shaped face, go for the smooth short layered cut. This contemporary cut not only looks super stylish but also makes you look really sophisticated. 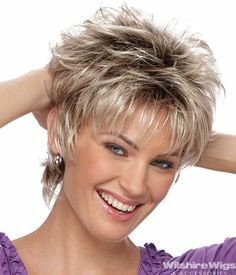 Cut your naturally textured, wavy hair into a short layered cut for a soft, romantic, old world look. This look is more vintage and works wonderfully for women with a petite face. Bobs are classic and timeless, and what better than a short bob, cut into wispy layers falling right at the chin for a fun, flirty look. Opt for subtle highlights to give your hair that extra bit of texture. So choose one of the above short layered haircuts to look nothing short of stunning and get all set to make heads turn towards you this summer.